Good kung-fu films are hard to find. Too often the story is a jumbled mess, the camerawork so fast paced that you can't see what is going on, or the fights are simply nothing special. Iron Monkey has none of these flaws. 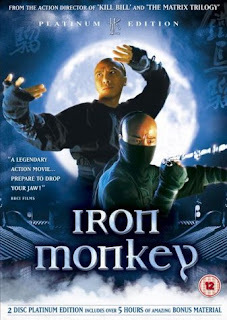 Donnie Yen might not be that famous on the western hemisphere of the world, but in the east he is one of the greats, and this is definitely one of best performances. For the uninitiated, it might be a bit strange to hear the characters yell out what move they're going to perform, before they kick out, but like all truly good martial arts films, Iron Monkey is way over the top, and pure entertainment all the way through.